What If your phone is lagging, doesn't run smoothly or has a delayed reaction? Learn the solutions if phone is lagging, or doesn't run smoothly. 1. Remove and reinstall applications. You can remove and reinstall an application when it causes lag or doesn't run smoothly, and see if you fixed the issue. 2. Close unused background applications. To avoid multiple apps running in the background, click Menu and close all the APPs with one-click, or manually close them one by one. 3. Clear caches and do security scanning. 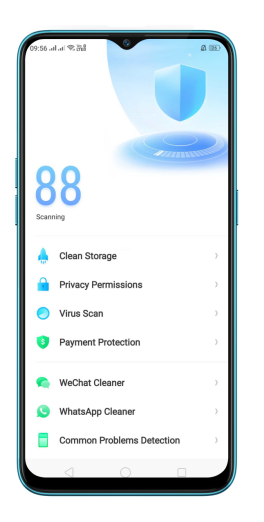 Regularly clear caches and scan for viruses to secure your phone and free up more storage space. •Delete the photos, music, messages, videos or other files that are no more needed. 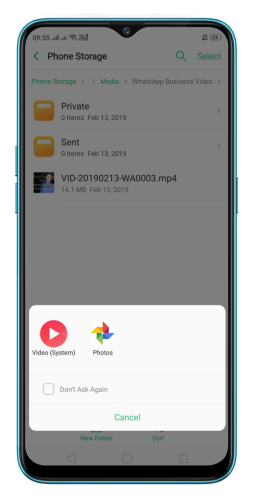 •For ColorOS 5.0 and above, go to [Phone Manager] > [Clean Storage] > [Safe to clean up] and select the files that are no longer needed and Click Clear to clear memory files and cache junk to further free up storage space in your phone. •For ColorOS 3.1 and 3.2, go to  > [Cleanup & accelerate] for optimization. You can also click [Full clean up] to clear memory files and cache junk to further free up storage space in your phone. •*Paths might differ in different system environments, operate as per your phone displays. Under [Security Center] or [Phone Manager], click [Virus scan] to check if the phone is not hacked by viruses, malicious plugins or programs. 4. Download and use official applications. You are recommended to download APPs from Google Play store or realme store rather than other sources. 5. Reduce the use of widgets. Reduce the use of dynamic wallpapers or small plug-ins with real-time refresh capabilities. DO NOT install APPs that are not genuine or might contain malicious plug-ins. 6. Detect and update software version. 1. Go to [Settings] > [System updates] to detect and update your phone to when prompted. This will benefit your phone from enhancing system stability by optimizing the system performance for a smoother using experience. 2. Fixing the known bugs. 3. Prolonging your battery lifespan. 4. Developing compatibility with more third-party APPs. 7. Restart your phone periodically. 1. Periodically restarting your realme phone could clean up broken or damaged caches and prevent APP bugs to make for a smoother using experience. 2. You are recommended to restart your phone once a week to ensure its performance.